Workers' compensation and Social Security Disability (SSDI) claims and appeals are highly specific areas of law. Workers' compensation law is unique to each state. Social Security Disability is a mountain of paperwork covered in an ocean of regulations. 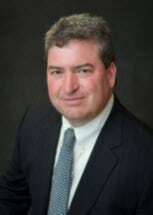 Attorney Robert L. Cullen began his legal career in 1994 as a Philadelphia attorney defending insurance companies against workers' compensation claims. After working directly for two national insurance companies as staff counsel, Robert transitioned from insurance defense to representing claimants. In 2008, he founded his own firm, Cullen Legal, in Bristol. He knows how the system works, and he uses that information to his clients' advantage. Robert is a Certified Specialist in workers' compensation. He is among a select group of lawyers that have been certified as a specialist by the Pennsylvania Bar Association's Section on Workers' Compensation Law, as authorized by the Pennsylvania Supreme Court. Listening to your needs, your concerns and your questions. Answering your questions with replies that are candid and easy to understand. Investigating every legal option at our disposal. Untangling the paperwork mess and bureaucracy that can accompany a workers' comp or SSD claim. Serving our clients by returning phone calls promptly and working diligently to provide personal customer service. Resolving claims. We take pride in the rate at which we are able to resolve cases to our clients' satisfaction. We can help negotiate a lump sum settlement in lieu of weekly permanent disability payments. We also help settle any disputed past-due temporary disability payments and medical expenses that have not been reimbursed. To learn more about Robert's work experience and education, click on the link below. We offer a free consultation in which we can answer your questions and provide a candid assessment of what you can expect. There are never any upfront costs, and we only collect an attorney fee if we recover benefits for you. Call 267-812-5870 or use our online contact form to schedule a meeting.